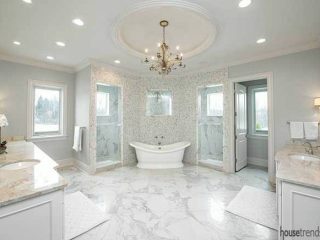 A floor-to-ceiling wall of small, horizontal tiles of various lengths and widths in shades of white, brown and green lead into a curved-wall shower tucked off to one side. 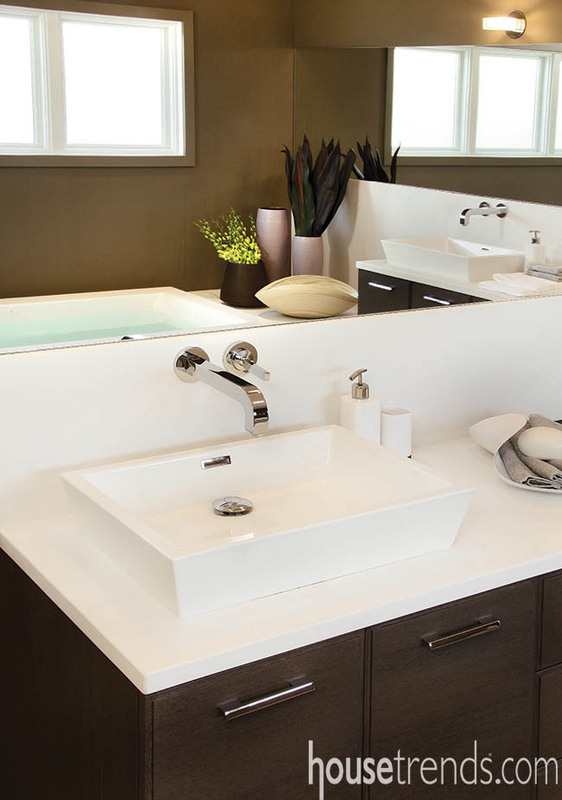 Focusing on the essentials can often inspire a design team to create an uncomplicated beauty. 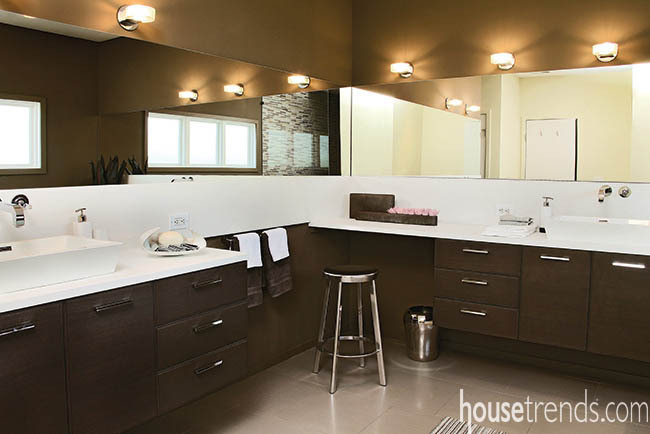 With functionality and simplicity as the driving force behind this master bathroom design for a busy Cincinnati couple with small children, that simple beauty was achieved. The design began with an effort to use clean lines with white as a dominant color in the overall palette. And the end result is a unique look worthy of attention. 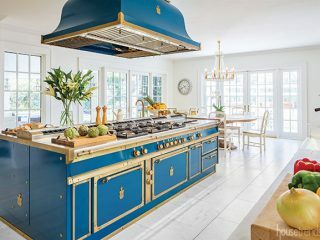 The homeowner and her interior designer, Shannon Riley of Voltage, first introduced warmth to the space with the rich wood of the cabinetry. Against the dark cabinets and chocolate paint, a swath of unbroken white backsplash and countertop circles the room, melting into the white built-in tub creating dramatic, horizontal lines that draw any visitor into the space. 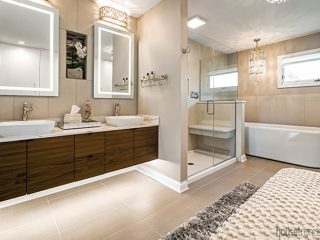 Finally a floor-to-ceiling wall of small, horizontal tiles of various lengths and widths in shades of white, brown and green lead into a curved-wall shower tucked off to one side. The doorless entry invites curiosity, but the purpose behind the design is all practicality. Staying true to the vision of the design was challenging when accommodating mundane decisions regarding construction elements such as plumbing. One necessary work-around was moving the pipes for the shower from an exterior wall to avoid the possibility of having them freeze during cold winter temperatures. Then there was finding a way to have individual spaces that were separate yet adjacent. Riley says placing the white sinks perpendicular to each other accomplished the goal of separate “zones” without sacrificing overall flow. The extra work to achieve all the goals of the homeowner was well worth it, she says. 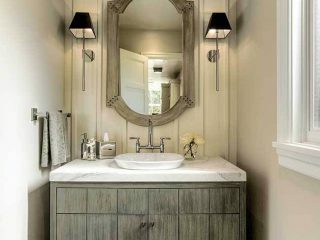 The combination of recessed task lighting and ambient lighting and three westward facing windows mean the bathroom is always filled with light. And that met the final goal the homeowner had – a bright room. 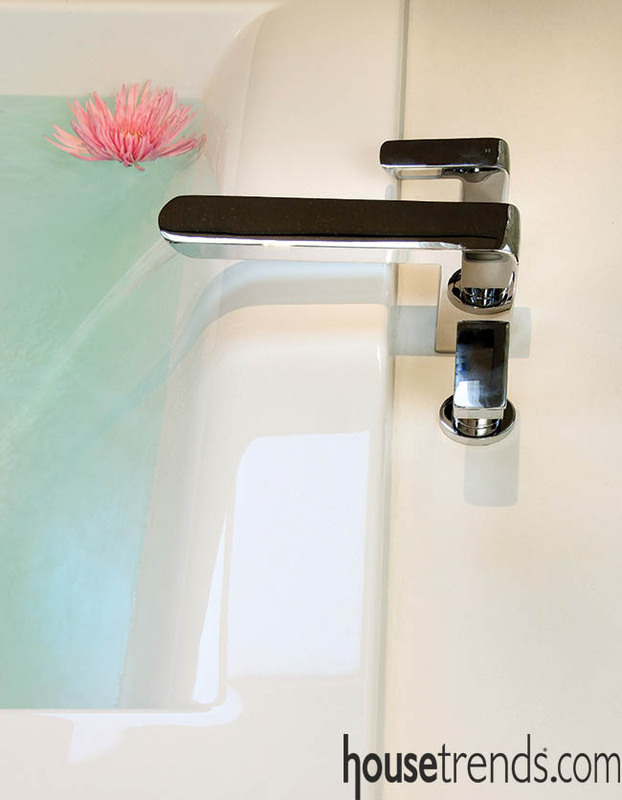 The Zen-like effect created gives the bathroom design an airy, natural feel that can be difficult to achieve with an interior space.